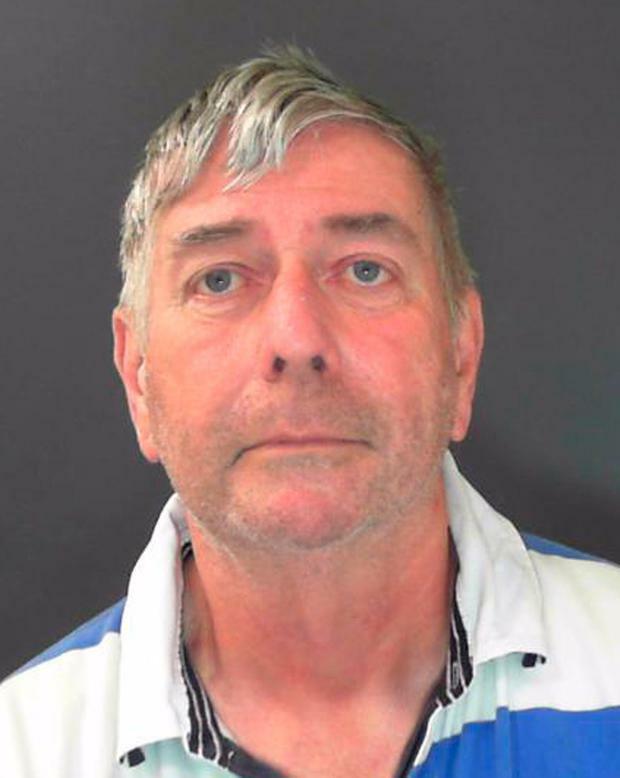 A pensioner who collected and categorised one of the largest hauls of indecent images known in England and Wales has been jailed. Geoffrey Crossland, 70, was told by a judge that the "scale of the depravity" depicted in the 2.2 million still and moving pictures he possessed would be hard for the public to come to terms with. The vast collection - which was stored on SD cards, USB sticks, DVDs, SIM cards, floppy disks, laptops, tablets and mobile phones - was discovered when officers raided Crossland's home at Padside Green Farm, Harrogate, North Yorkshire, in October last year. While there, police discovered what has been described as a "secret underground bunker" filled with weapons and ammunition, as well as a shooting range and the equipment necessary to put together more bullets. Among the "arsenal of weapons", as a judge described it, were nine illegally-held weapons, including various shotguns and pistols. It was found that Crossland, a long-term weapons enthusiast, had in his possession around 24,000 rounds of ammunition, as well as expanding bullets. Images released by North Yorkshire Police show how shipping containers were used to create the bunker, with the court hearing how the defendant had gained planning permission in 1990s for a much smaller facility which would be used for business purposes. His Honour Judge Andrew Stubbs told Crossland, who once ran a business manufacturing electric components for vehicles: "The risk to the public is clear to all, but that risk is increased by the volume of weapons you held and the volume of ammunition which you also held." Appearing at York Crown Court on Monday, Crossland admitted six charges of possessing prohibited firearms, two charges of possessing firearms without the relevant certificate, two counts of possessing ammunition without the relevant certificate, and one count of possessing a shotgun without the relevant certificate. He had previously pleaded guilty to three counts of making indecent images in relation to his disturbing collection, some of which featured young children being abused. The court heard how Crossland was found to have 34,612 images in the most extreme category A, as well as 2,107,873 in the least extreme category C.
Prosecutors explained how these had been "painstakingly categorised", with some being listed under sick headings like "animal abuse", "peach Asian street meat" and "young Russian brother and sister", having been downloaded from the internet. The millions of images were described by the Crown Prosecution Service (CPS) as one of the largest known collections in England and Wales, with North Yorkshire Police adding that the raid on Crossland's property was the biggest seizure of indecent images in the county. Sentencing Crossland to 12 years and eight months in jail, the judge told him: "One issue which is not forgotten is that these images capture real life people, and at the same time real life sexual abuse being carried out on them." The court had previously been told how the defendant had been away on a shooting holiday in Argentina when officers searched his home on October 18 last year, having been alerted to suspicious online activity. His wife answered the door, and more than 100 digital devices were seized and examined. Crossland was arrested as he arrived back at Heathrow Airport days later. Detective Chief Inspector Graeme Wright, of North Yorkshire Police, said that the force is involved with "ongoing enquiries to establish if Geoffrey Crossland was involved in the direct abuse of children". Speaking outside court following the sentencing, Julian Briggs, from the CPS, said that Crossland's collection of indecent images was "without parallel in the area". He added: "That alone would make this case extraordinary and troubling. "But the subsequent discovery of prohibited firearms and ammunition, concealed in underground bunkers at Crossland's home, clearly shows that this defendant is a highly dangerous individual."